Increase motivation and recognize every achievement with this set of 30 jumbo stamps. 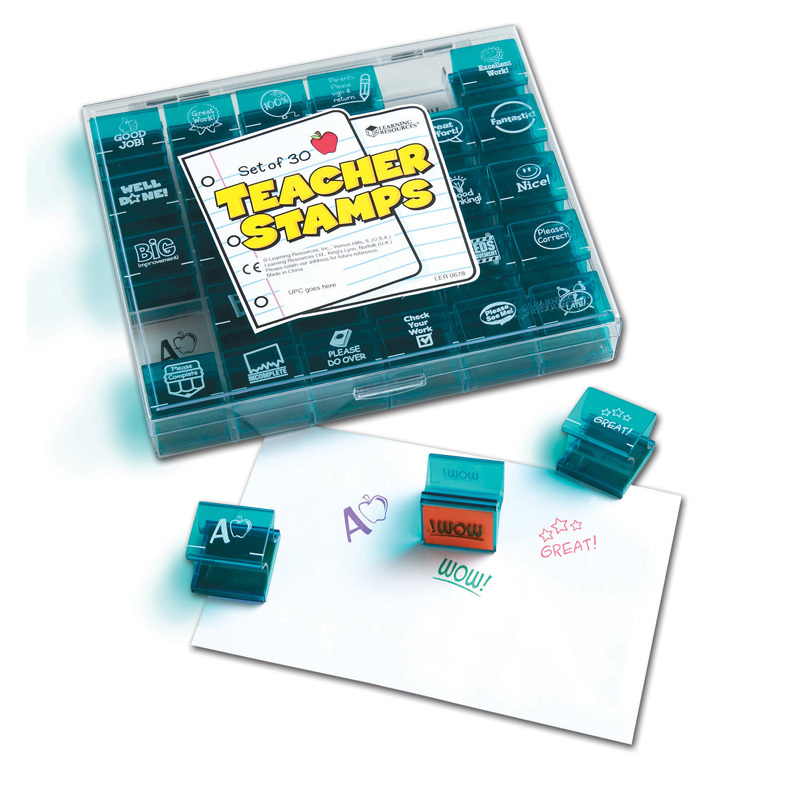 Brightly colored plastic stamps measure 1.5" and feature words of encouragement and a picture. From "Super!" to "Great work!," your students will look forward to seeing these fun stamps on their work—and you'll love the way they make grading papers quick and easy. Includes stamps with positive messages as well as other useful comments ("Late", "Needs Improvement", etc.) Plastic storage case included. Also perfect for kids who love to play school at home and grade their "pretend" tests and papers.